Free To Be Me Community Ideas Box! 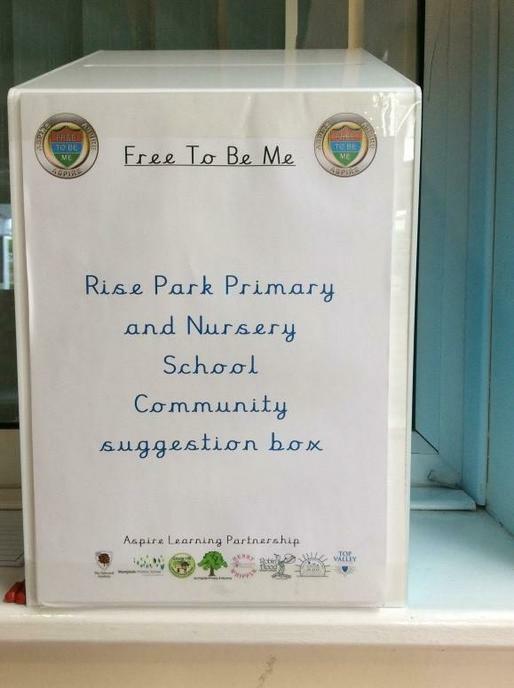 This week during our Key Stage assemblies we launched our Free to Be Me Community ideas box. The purpose of this box is to give us the pupils the opportunity to voice our ideas and opinions on how our local community could be improved. Over the next couple of weeks we will collate our ideas and then take them to a meeting on Wednesday 24th May with the other Free to Be Me Ambassadors from the other Aspire schools. We will share our ideas and findings and hopefully some of them will be put into action within the local community. We will keep you updated once we have attended the meeting.